Twentieth Century Fox Animation is working on Ronald Dahl's classic childrens tale "The Fantastic Mr. Fox." The movie is directed by Wes Anderson and is utlizing stop-motion animation that was featured in films like, Nightmare Before Christmas and James and the Giant Peach. The Fantastic Mr. Fox is currently filming with George Clooney, Cate Blanchett, Bill Murray, Jason Schwartzman, and Angelica Houston and will release November 6th 2009. Indie rocker Jarvis Cocker has written some music that should find it's way into the score for The Fantastic Mr. Fox! 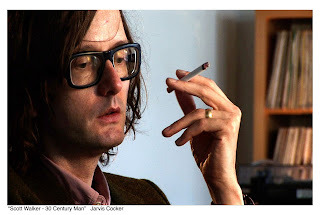 Jarvis, who is most well-known for being the frontman for the british band Pulp, has lended his music and voice to film before in 'Harry Potter and the Goblet of Fire' and 'Children of Men'. Jarvis in a recent interview told Time Out Chicago, "I’ve been doing some stuff for a children’s film Wes Anderson is doing, an animated feature....I’ve written three, four songs, and some of that might become bits of the score." Wes Anderson, whose previous work is flawless, should play nicely with Cocker style. Jarvis, who had once voiced much skepticism about the Disney corporation said, "If you criticize Disney, the next step is do better. I get the chance to do it myself and corrupt young minds". 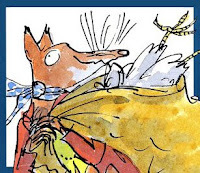 One thing is for sure The Fantastic Mr. Fox is not to be missed and highly antcipated by fans of Anderson's amazing work! What are your thoughts? Do you want to see a stop-motion animation feature by Wes Anderson? Does the additon of a Jarvis Cocker score sound appealing?